By accessing and using the information in this Website (FIBERON.COM), you agree to these terms and conditions. If you do not agree, you should not use this Website. Fiberon Technologies, Incorporated (Fiberon) may revise these terms and conditions from time to time without notice by updating this posting. Fiberon maintains this Website as service to the Internet community. Fiberon invites the Internet community to browse this Website for the purpose of personal information and communication to Fiberon. The entire content (images and text) of this Website is copyrighted and may not be distributed, downloaded, modified, reused, reposted or otherwise used, except as provided herein, without the express written permission of Fiberon. You may download content only for your personal, non-commercial use. 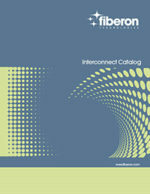 Fiberon will use reasonable efforts to include accurate and up-to-date content in this Website. All product information contained in the Website including illustrations, specifications and dimensions, is believed to be reliable as of the date of uploading of content to the Website, but is subject to change without notice. Nevertheless, Fiberon makes no warranty or representation as to its accuracy. Content in the Website may contain technical inaccuracies, typographical errors and may be changed or updated without notice. Fiberon may also make improvements and/or changes to the products and/or to the programs described in the content at any time without notice. Therefore, you agree that all access and use of this Website and its content is at your own risk. Neither Fiberon nor any party involved in creating, producing or delivering this Website shall be liable for any direct, incidental, consequential, indirect or punitive damages arising out of your access, use or inability to access or use this Website or any errors or omissions in its content. Without limiting the foregoing, everything on this Website, including other linked Websites, is provided to you “AS IS” WITHOUT WARRANTY OF ANY KIND, EITHER EXPRESSED OR IMPLIED, INCLUDING BUT NOT LIMITED TO, THE IMPLIED WARRANTIES OF MERCHANTABILITY, FITNESS FOR A PARTICULAR PURPOSE, OR NON-INFRINGEMENT OF INTELLECTUAL PROPERTY. It is recommended that you independently test and evaluate products for their intended use. All registration information is stored on a secure server unavailable to anyone outside of FIBERON TECHOLOGIES. We may use this information for statistical, demographic, marketing and/or transaction purposes, and to better understand the make-up of our customer base so we can improve our services consistent with our visitors’ interests. None of the registration information is ever provided to third-party organizations in other than aggregate statistical form. The information is regarded and treated by FIBERON TECHOLOGIES as confidential business information for its internal use only. We monitor traffic patterns on our Web site, but only to the extent appropriate to help us achieve our goal of providing a site that meets or exceeds the needs of our customers. FIBERON TECHOLOGIES may gather and analyse information regarding usage of this web site, including domain name, the number of hits, the pages visited, previous/subsequent sites visited and length of user session. This information may be gathered by using a cookie. A cookie is a small text file placed on your hard drive by our web page server. You can choose whether or not to use a cookie by altering the settings of your browser. A cookie will make the use of this web site faster and easier. This website uses Google Analytics, a web analytics service provided by Google, Inc. (“Google”). Google Analytics uses “cookies”, which are text files placed on your computer, to help the website analyze how users use the site. The information generated by the cookie about your use of the website (including your IP address) will be transmitted to and stored by Google on servers in the United States . FIBERON TECHOLOGIES reserves the right to modify sections of this Privacy Statement at any time. Please check this statement from time to time for any changes. 2016 © Fiberon Technologies, Inc.
Our extensive and selective fiber optic portfolio of products coupled with our global presence, technical competency, and the tenacity to work through any possible challenges presented to both small and large scale businesses ensures rapid customer response.